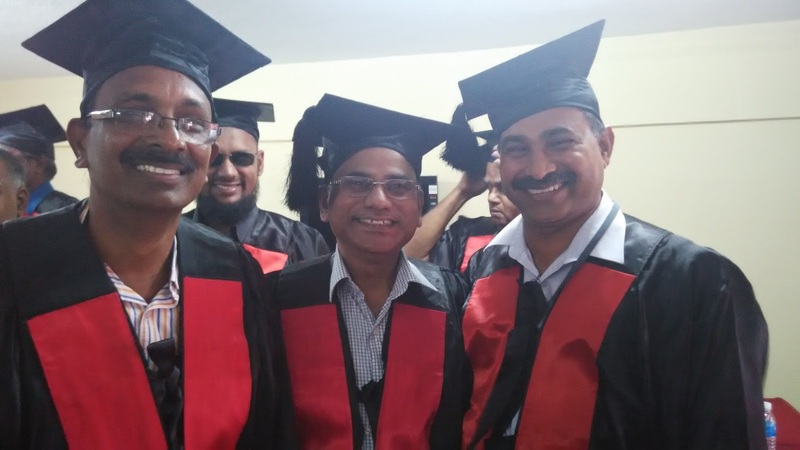 Pondicherry University celebrated in a grand manner the 24th Convocation on 4th October 2016. Dr Kiran Bedi, the Lt Governor of Pondicherry and the Chief Rector of the University, was invited to deliver the Convocation Address. The Vice Chancellor Dr Anisa Basheer Khan, had made all the arrangements for this spectacular event. 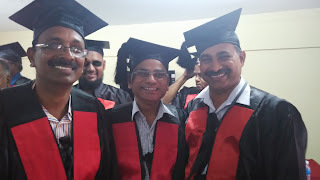 Since there had been no commencement ceremony in the UNiversity for the past three years, there was ahuge back log of degrees to be awarded and the University had create a special space for the Convocation to be held. 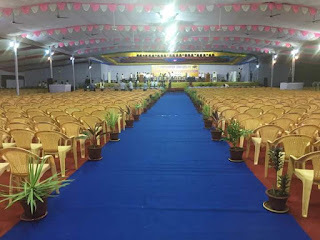 The R G Cricket Stadium was converted into the Convocation Hall by erecting a pandal. Fortunately the rain gods were kind and there was no rain. 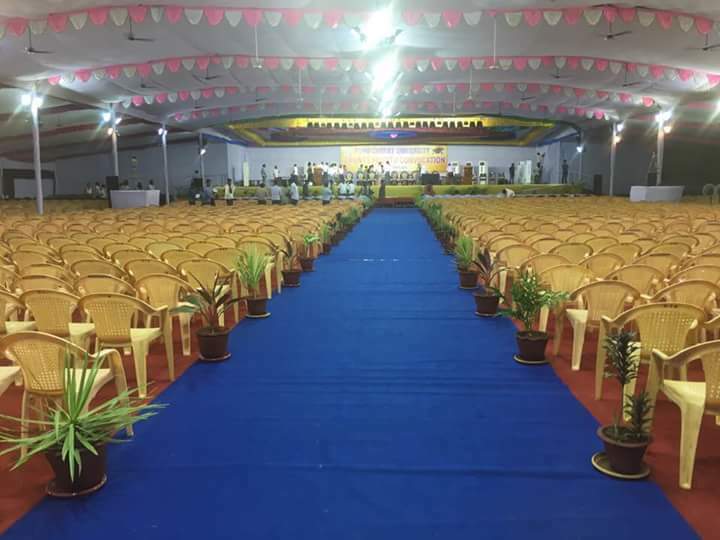 The pandal had a seating capacity for over three thousand guests and the Hall was packed with parents, students and faculty. On the whole it was a great success. I was rather apprehensive about the whole affair as the event took the whole day. 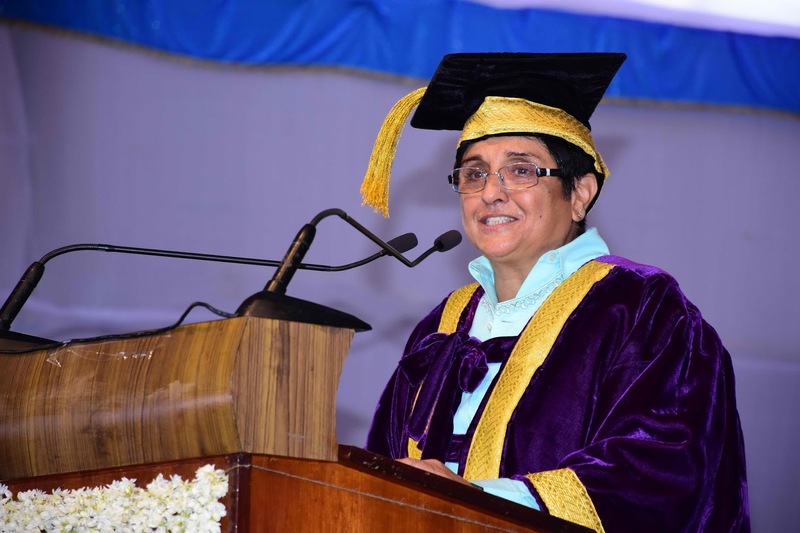 Dr Kiran Bedi was at the venue right on time and she was her charming best. 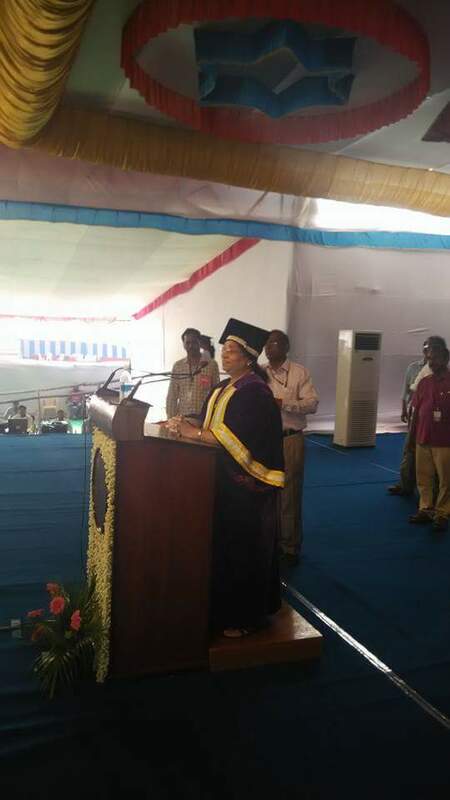 She spoke to the graduates who received their degree certificates from her and smiled for the photograph. This gesture on the part of the Lt Governor was noted and appreciated by the people. 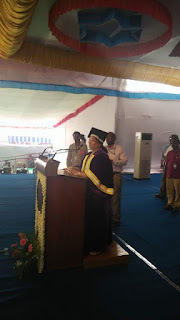 The Vice Chancellor, Professor Anisa Khan, who took charge of the University at a very critical time steered the UNivesity through a very challenging time and she brought the Academic Calendar back on track. She gave the Report Card of the University and informed us that the University had risen to the eleventh position in the all India ranking established by the Ministry of Human Resource Development.